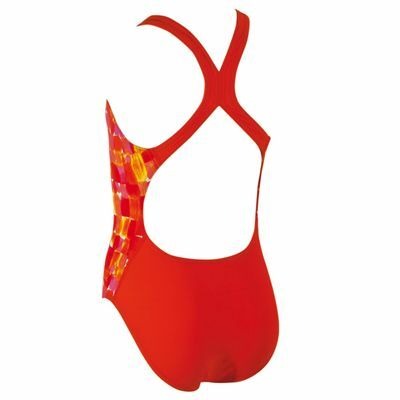 With its girly, colourful design and an open flyback style, the Zoggs Sunset Splash girls swimsuit provides great fun in the water and maximum freedom and ease of shoulder movement. It has a bright all-over painted effect print and is suitable for girls aged 6-15. 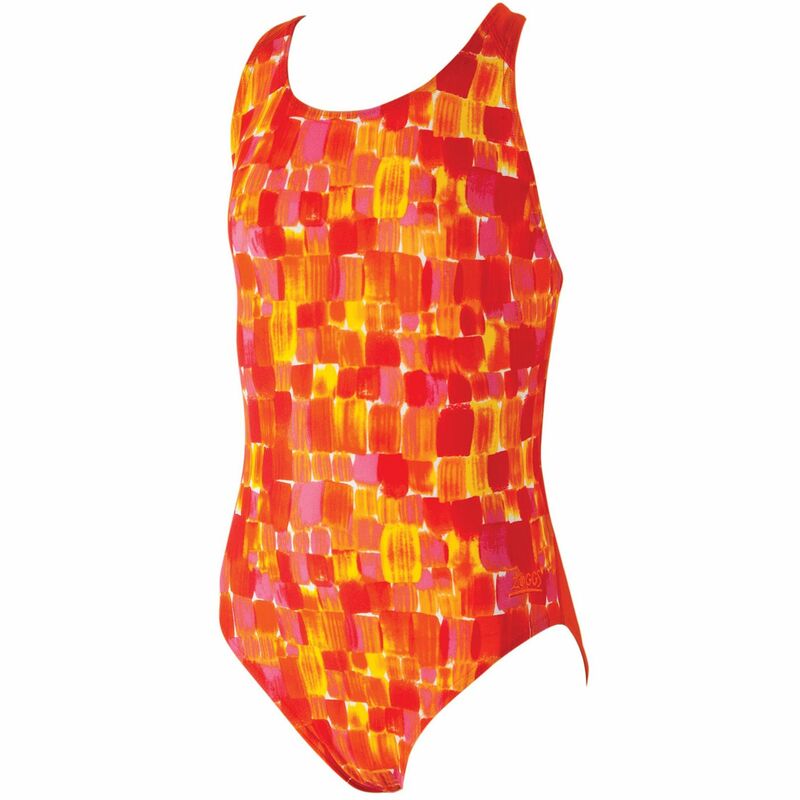 Nothing will hold your little swimmer back in this swimsuit thanks to a super-soft and flexible fabric and thick supportive straps that are drawn away from the shoulders for exceptional comfort. The swimsuit features a medium leg height and is made from XtraLife Lycra and a HydroLife fabric which makes it both quick drying and chlorine-resistant. for submitting product review about Zoggs Sunset Splash Flyback Girls Swimsuit.